There is so much to think about as a parent because you want your child to be healthy and happy. Feeding them food full of vitamins and minerals is a big part of making sure that happens. It also helps your child to grow up with good eating habits. Since childhood obesity is such a problem, more parents are taking action early on to prevent it. As label readers, it can be upsetting to see some of the ingredients in packaged foods for babies. Taking matters into your own hands is your right. Don’t assume that just because a product is labelled for babies or toddlers, it is going to contain the proper nutritional value. It’s important that your child is going to be able to eat the food you prepare. It doesn’t matter how nutritious it is if you can’t get them to consume it! Making your own baby food can put your mind at ease because you know what has gone into it. You can make small batches of foods for them to try. You can make larger batches of their favourites and freeze part of it. Then you will have it accessible later when you need it, and that prevents reaching for poor food choices for your child due to a time crunch. 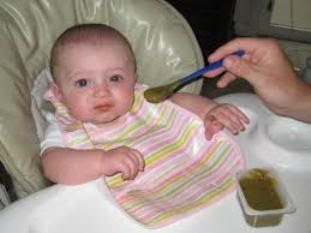 It is possible to make your own baby food to give to your children. There are plenty of baby food recipes to choose from. Remember to only introduce them to one new food at a time. This helps you to identify what they like and what settles well in their tummies. A variety of food also prevents them from getting bored or becoming picky eaters. As parents, it is easy to second guess our decisions. Feeling good about the nutrition you offer your baby is important. As they get older, you can add new recipes to the mix too. This includes recipes that include some solid foods. Making the food your children eat rather than giving them packaged foods takes some planning, but it can be a great gift you provide them with. It can promote better growth, well-being, and reduce the chances of obesity and other health risks as they get older. Before you make food for your child, take some time to learn about overall nutrition and about various ingredients. Talk to your doctor about your choice so you can work with them to make sure your child gets foods right for their age. Healthy foods are also going to be more filling for your child, so they will eat less but not feel hungry. Many doctors believe healthy foods for babies and children help them to sleep better. This is because their bodies are able to digest the food easier than processed foods. Some studies indicate this will encourage children to snack less too, because their bodies are staying full longer on healthy foods. Knowing your entire family is eating right is important to encourage physical and mental well-being at all ages and all stages of life.